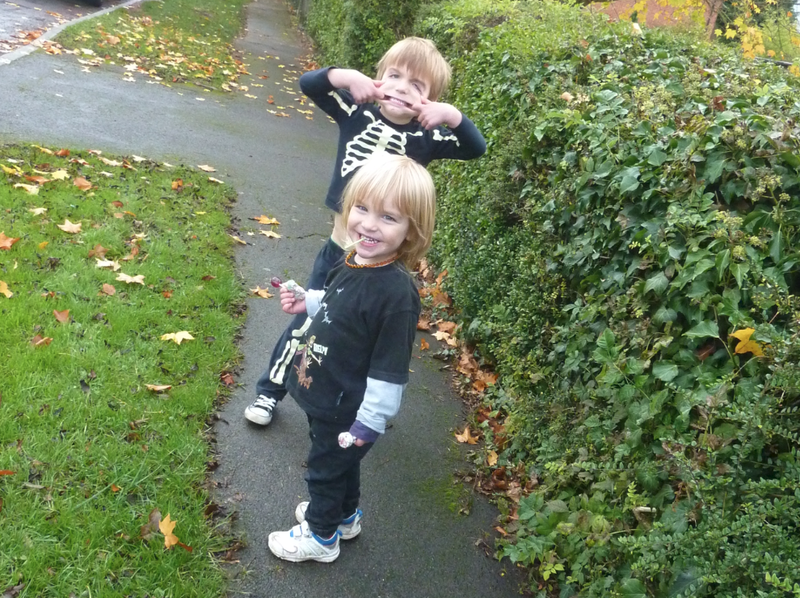 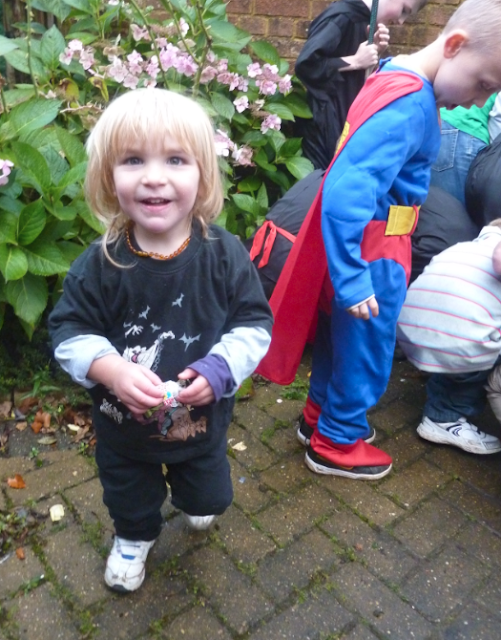 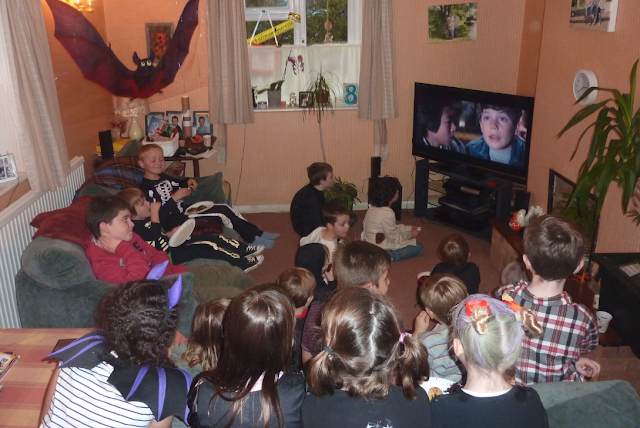 We went to a fab Halloween party this year! 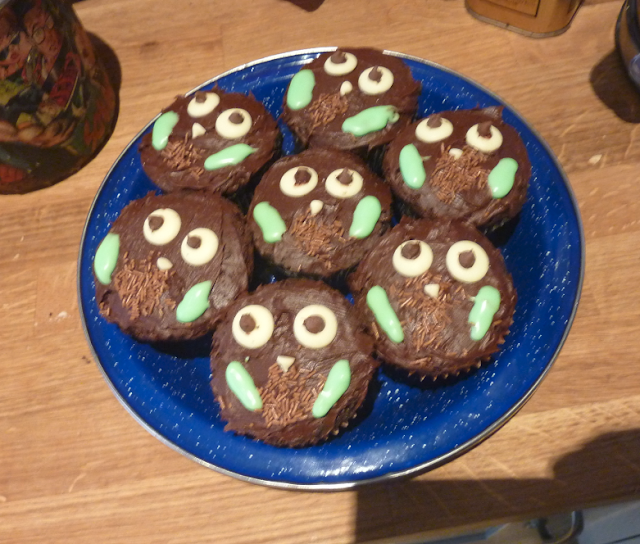 I made some owl cakes to take along - they were actually a brownie recipe so really chocolatey and gooey inside! 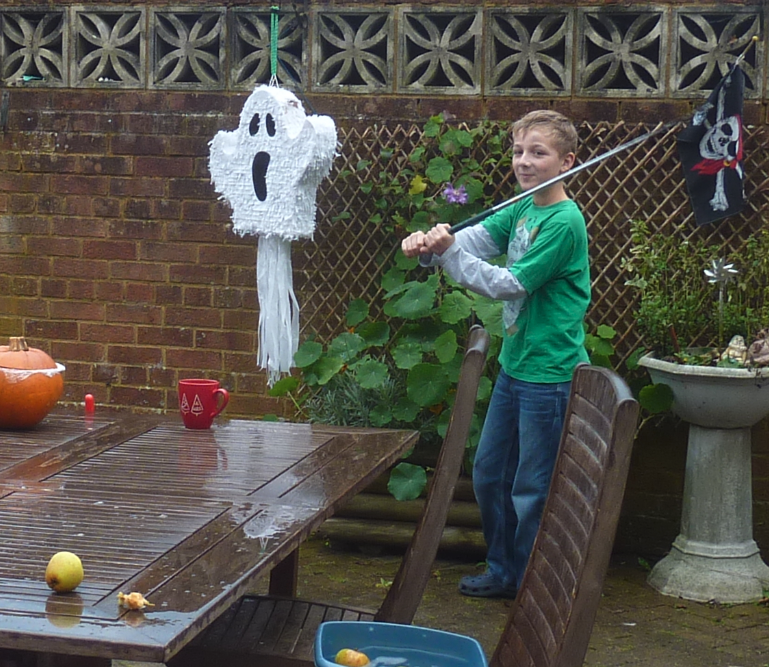 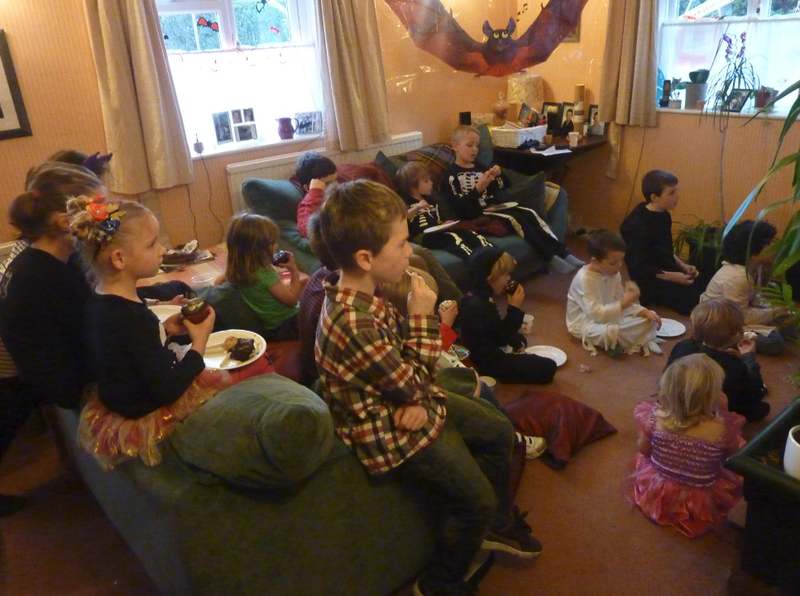 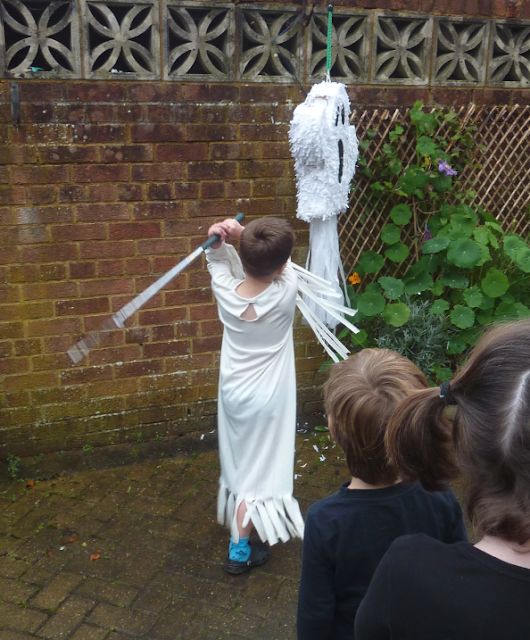 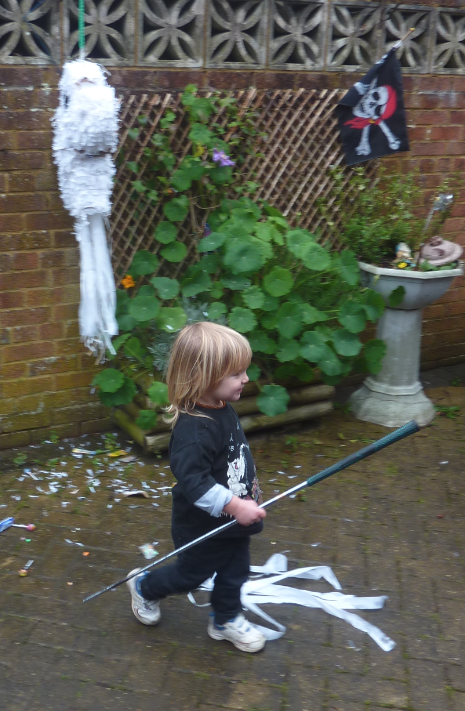 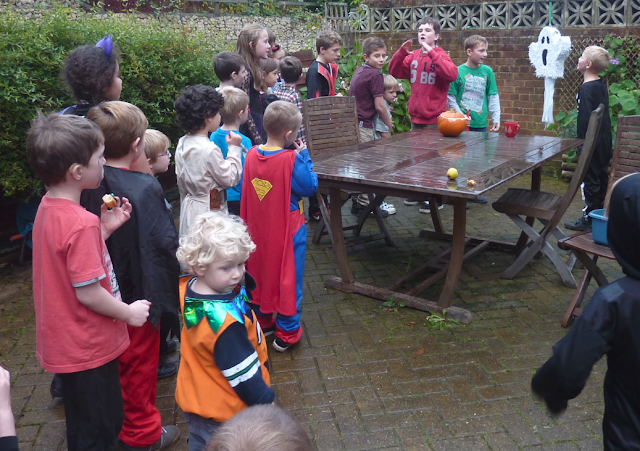 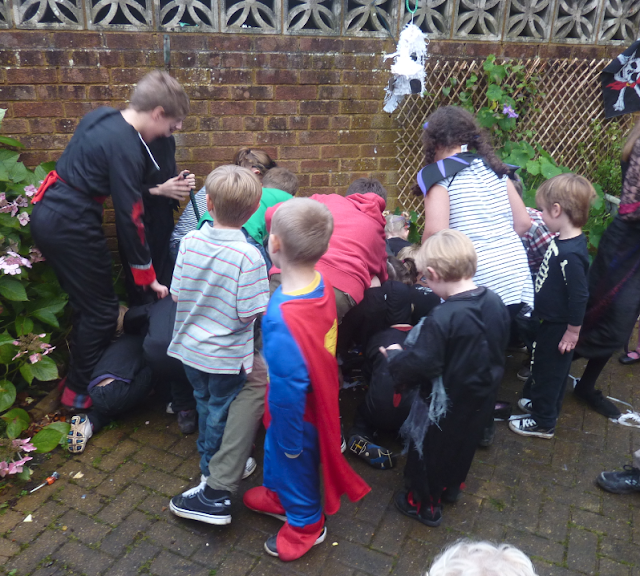 Lots of games were played including a witch dress up relay race and a version of hot potato with witches brooms. 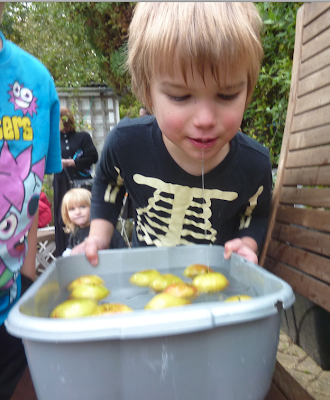 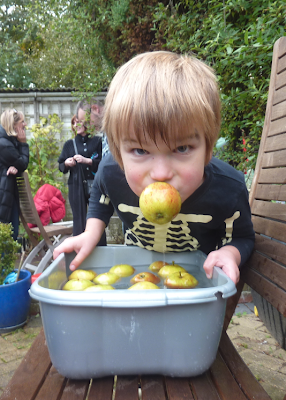 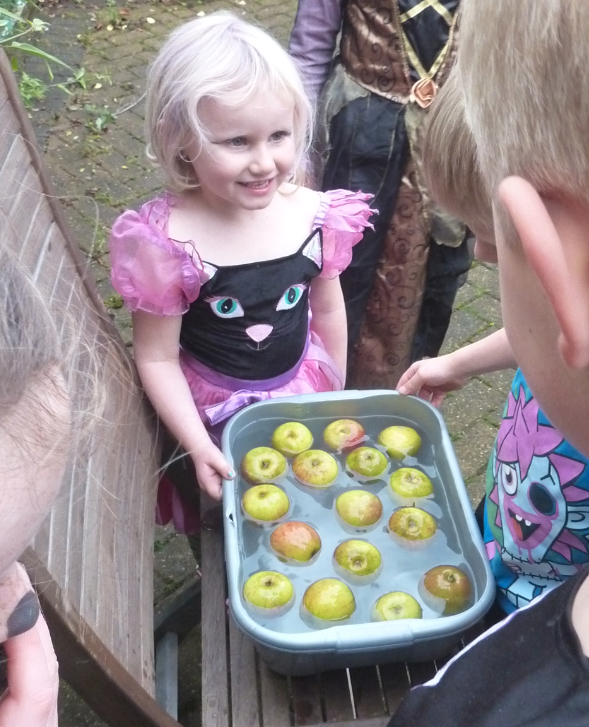 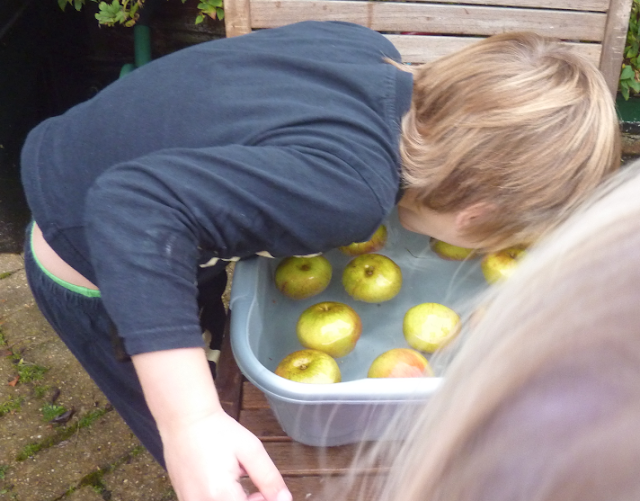 They all loved the apple bobbing! 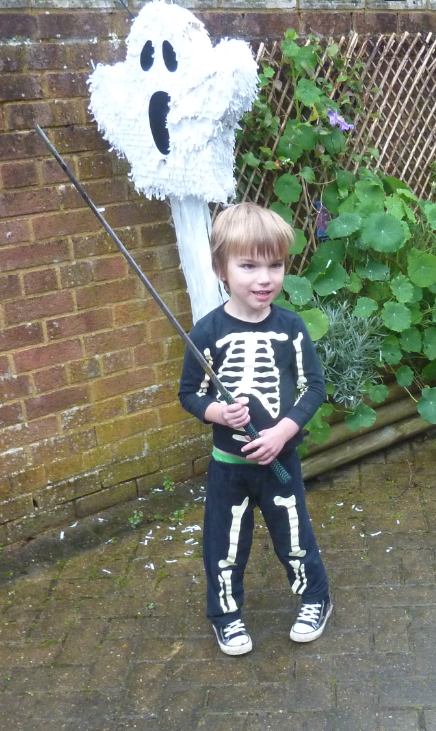 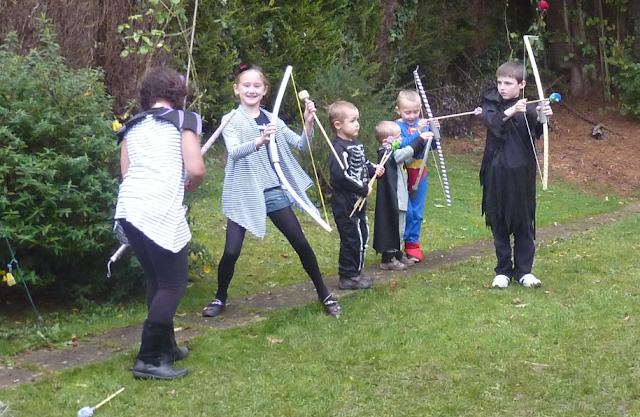 Our other friends had made bows and arrows too and all the children really got into them. Then a bit of chill out time after tea watching The Goonies! 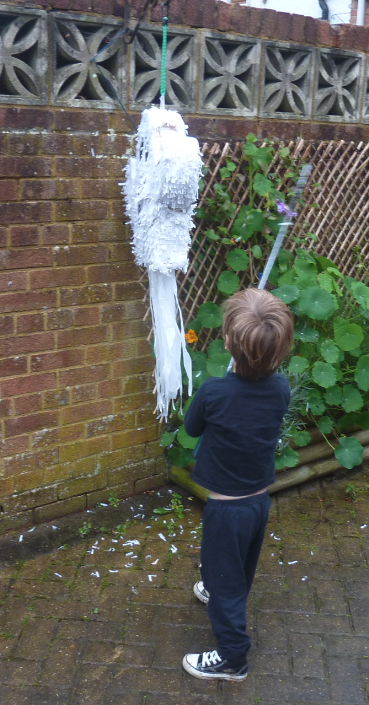 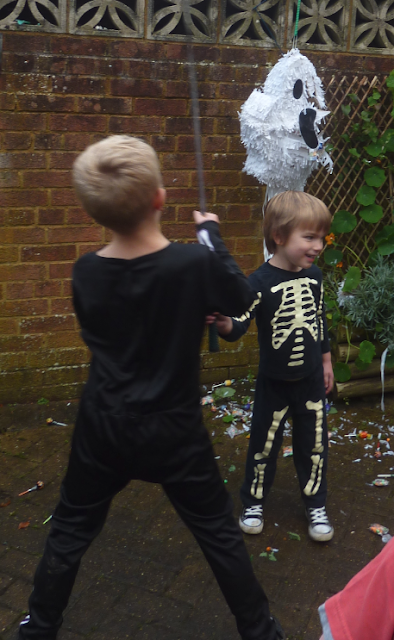 That is until the shout of "Pinata" went up and you have never seen a room empty so fast! 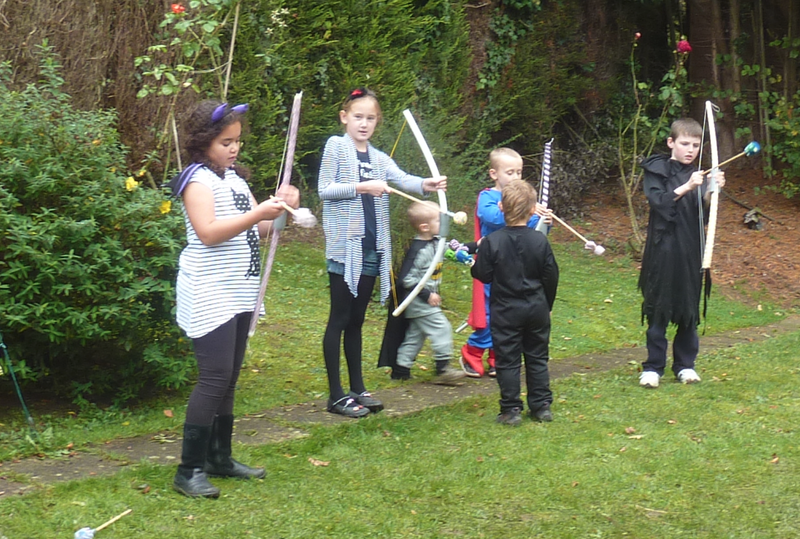 It was a really sturdy one and even with the big queue of children everyone had around 3 bashes. 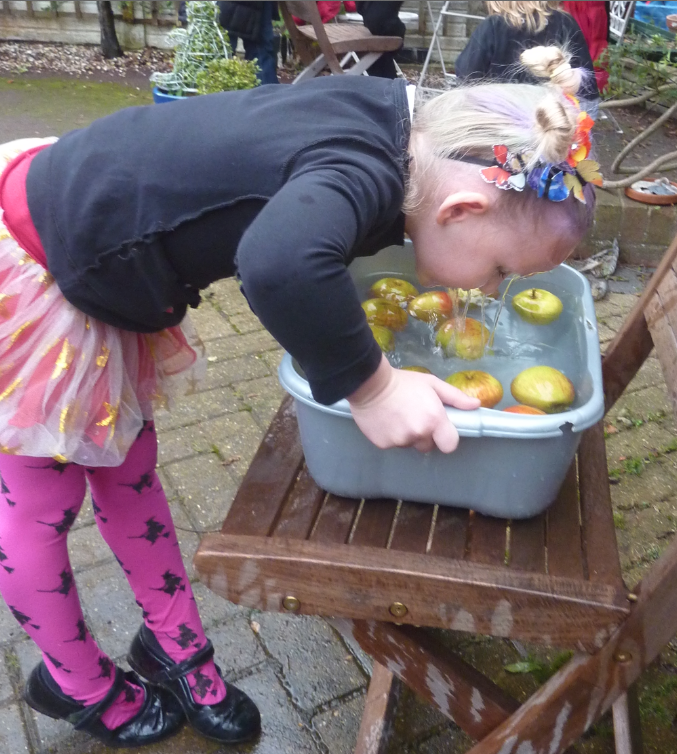 Even Eden had a go!! 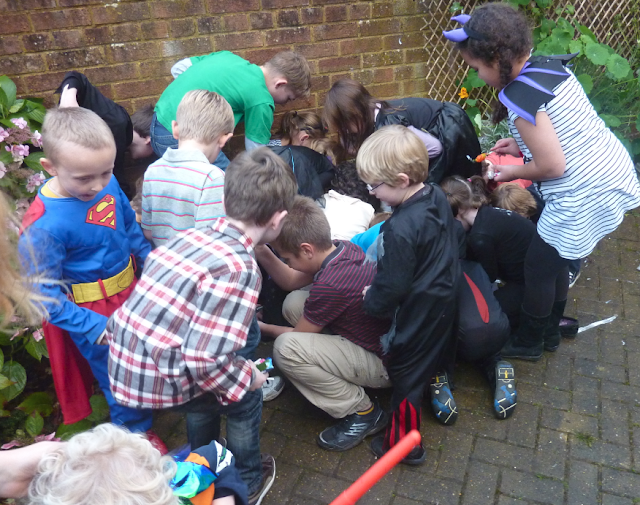 Then when it finally broke and spilled the contents, the scramble began!! Both my boys managed to get some though! 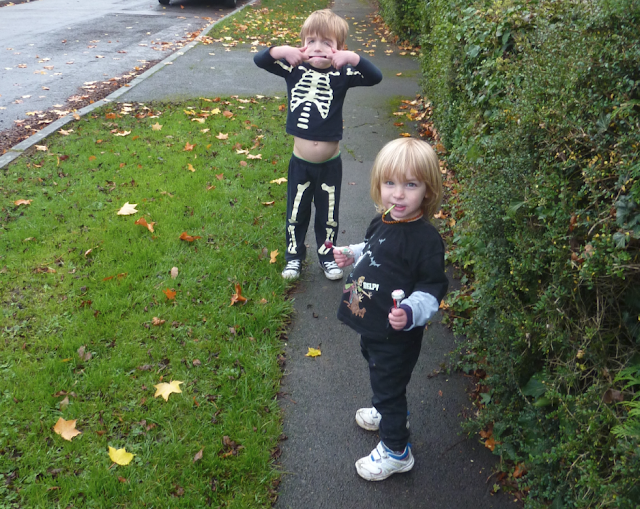 Two happy sugar filled boys on their way home!! 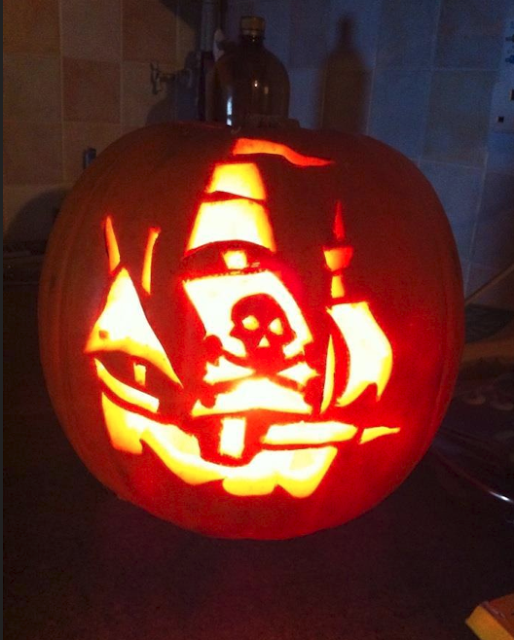 And of course this year's pumpkin! Bird Feeders! 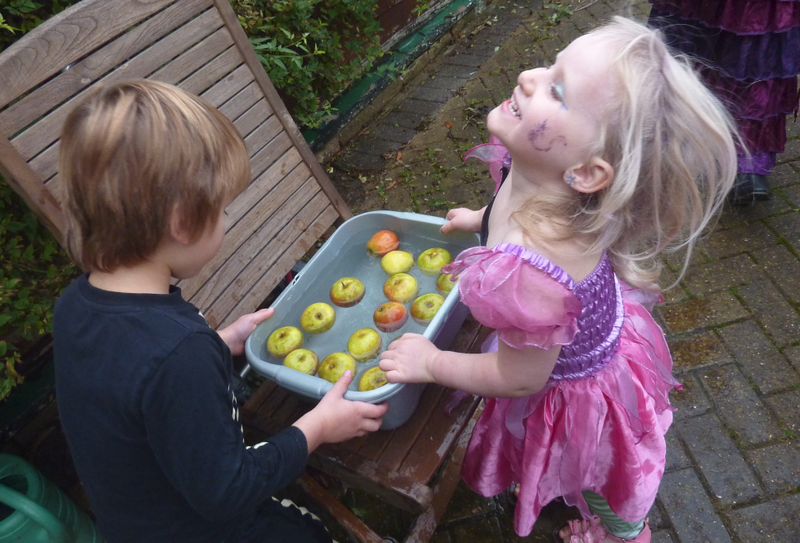 Easy pre-school activity. 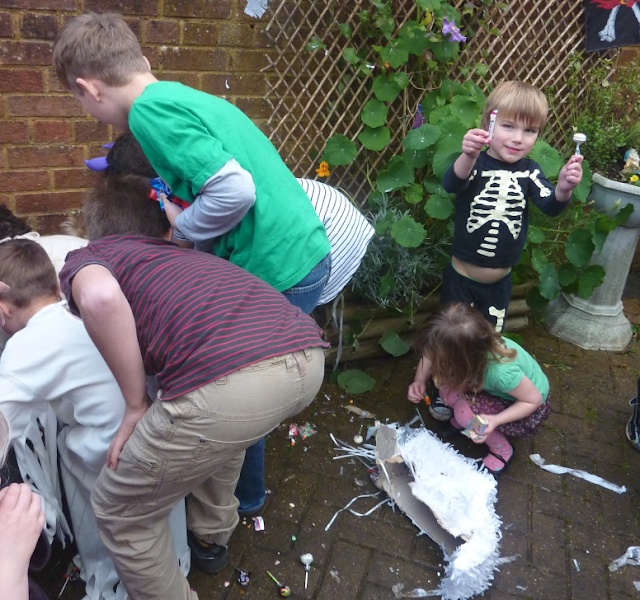 Sewing Day - Seat covers and a monster!